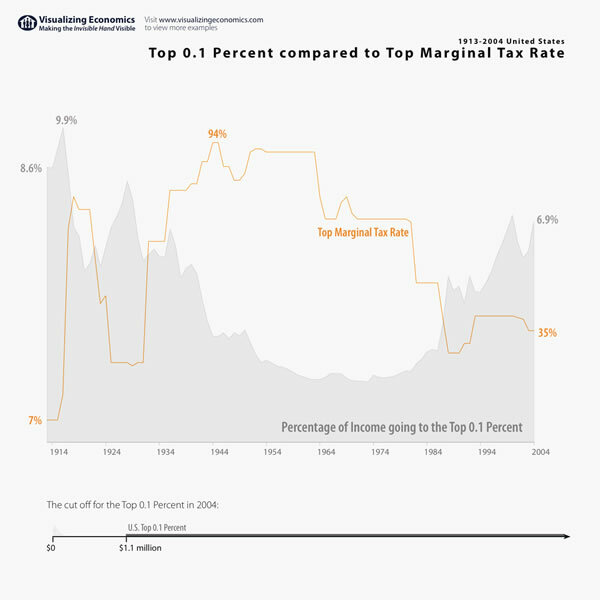 One of the more ironic aspects of today’s political debate is the way Republicans use the “class warfare” card in an attempt to avoid debating the manner in which their policies have gutted the middle class, driven and trapped more people into poverty, and simply made the wealthy even wealthier and created a larger gap between them and the rest of us. This was a bit more excusable before the data above and below was available. After all, Republicans would often claim that it was the Democratic social safety net that “trapped people into poverty.” But the data shows that countries with stronger social safety nets have higher, not lower income mobility. 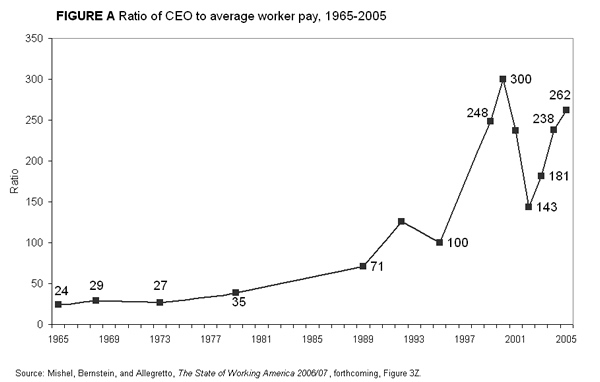 It was claimed that an increasing income disparity was simply a reality that industrialized nations had to face in the age of globalization. 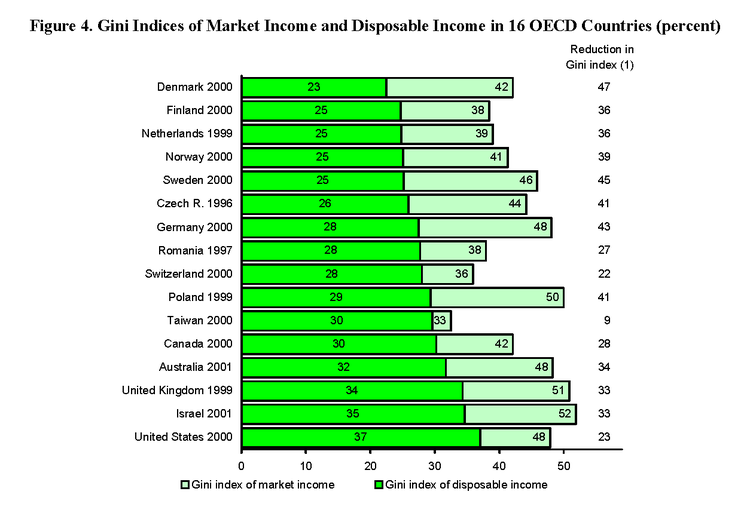 But we can see that other industrialized nations haven’t followed the same path, and that we now have the highest disparity of income among OECD countries. 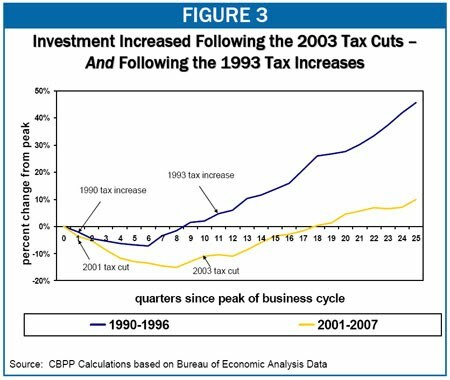 We’ve been told that lower taxes on corporations and the rich will trickle down onto the rest of us as it helps promote job growth. 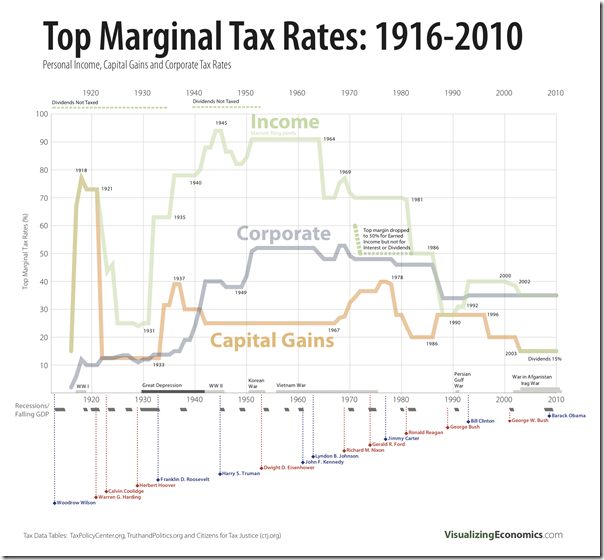 In reality, we have seen slower job growth, no increase in the rate of growth in GDP, and a coagulation of wealth at the top, while the middle and lower earners were mork more and more hours for a shrinking pice of the pie. These are real policies that have had real consequences. 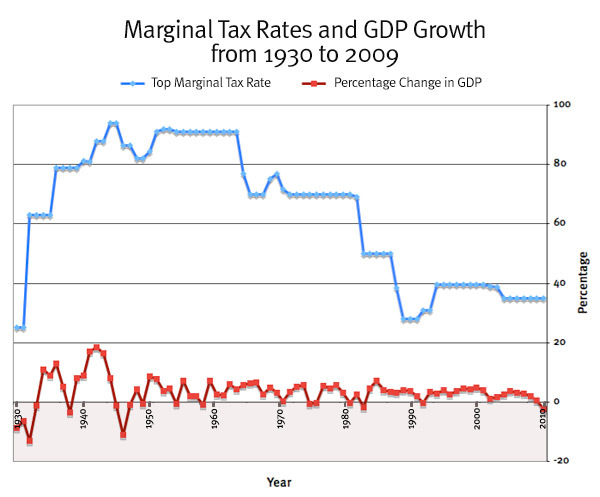 Republicans only want to push this envelope further, and when the aforementioned effects are mentioned, their standard response is to accuse the messenger of class warfare, class envy, a dependence on government, etc. Having said this, I imagine this applies more to the dyed in the wool Republicans and not so much to those with an open mind. 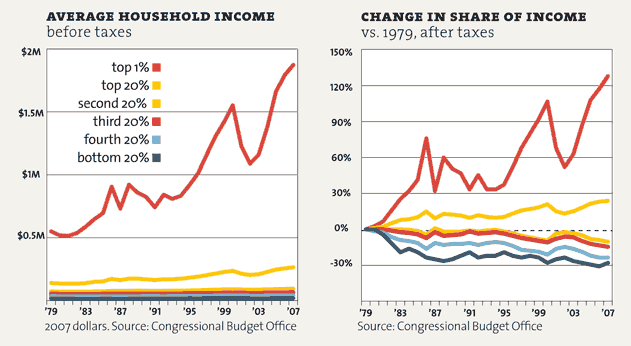 But it seems to me that “class warfare” began over 30 years ago with the policies mentioned above, not with the mere reporting of facts thereof. 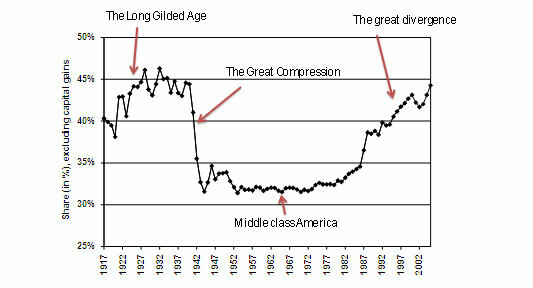 The middle class we know (or knew) actually came about during the New Deal and has been gradually eroded as the US adopted a faulty “trickle down economics” approach. 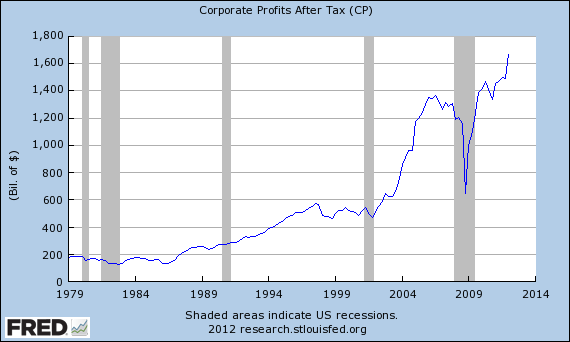 Lowered corporate taxes have resulted in increased corporate profits and no acceleration in job growth. This is especially important to keep in mind when Republicans claim that corporations aren’t hiring because it’s too ‘costly’ to hire. The real problem is all of the lost buying power the middle class has undergone; this has made a sustained recovery that much more difficult due to depressed demand. 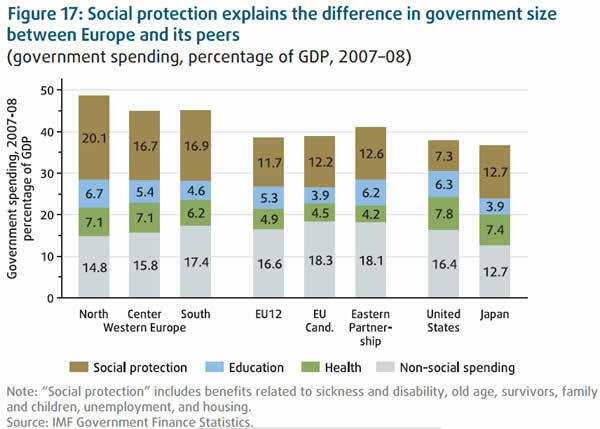 The US also has less social mobility than many of its western peers (who in fact have stronger social safety nets). This is why it’s important to have programs that help place low income students on more equal footing with higher income counterparts. Low scoring students from high income households are more likely to complete college than high scoring students from low income households (the scoring comes from standardized tests given across the survey population). On the other hand, the US population believes that social mobility is much higher than their peers in other countries(despite having lower social mobility then their peers). 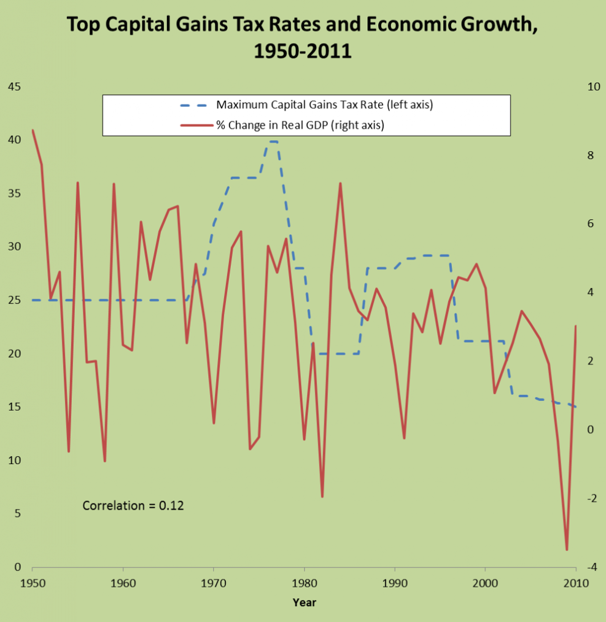 Inequalities: The real incomes of middle-class families grew more than twice as fast under Democratic presidents as they did under Republican presidents.